● Nero offers free 15-day trials of almost all of its software so that you can make sure the program works for your media needs before actually purchasing it. ● Nero’s Kwik Media manager is 100% free, and it allows you to edit, organize, and share your data, photos, videos, and music all in one place. Also free, are Nero Cover Designer, Nero Sound Trax, and Nero Wave Editor – no coupon codes or purchases necessary. ● Whenever a software application that you have purchased through Nero gets updated, you don’t need to spend time and money re-purchasing and installing it. Updates are free for all of the applications that you already own through Nero’s website. 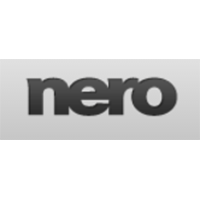 ● Nero coupon codes and sales are plentiful, year-round. They usually allow you to save a set percentage, such as 15%, off of the price of a specific Nero program. Although, sometimes, these coupon codes are valid for set dollar amounts or percentages off of any purchase. Nero Burning is the industry leader in CD/DVD/Blu-ray burning and backup software solutions. They provide a full suite of burning options for individuals, organizations, as well as businesses looking to create effective and long-lasting backups of the physical or digital media that they use on a regular basis. Nero Burning tools are available in a variety of different suites and software setups, ranging from the most minimal solutions (Nero Lite) to the most robust solutions designed specifically for large organizations that need to do a considerable amount of physical backup in record time. They enjoy the most rock solid reputation in the backup business. For most up to date offers check out Nero on Facebook and Twitter or contact Nero Support for any questions.